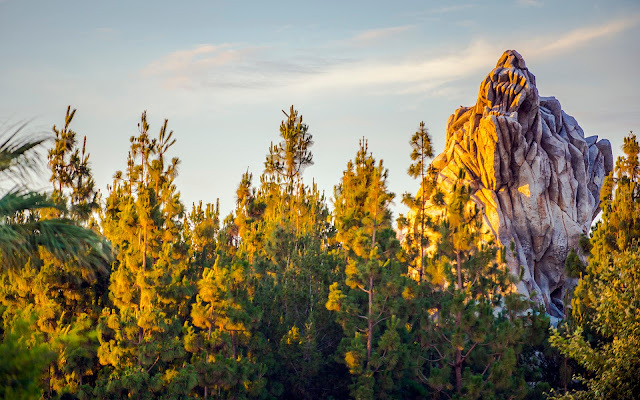 I've always enjoyed the way that Grizzly Peak was crafted, a rocky silhouette of a bear poking up above the treetops, iconic from multiple views around the park. Because of this prominent positioning, photographers can get a lot of great frames of this "weenie" of Disney California Adventure, so here are a few telephoto angles I've capture over the past couple of years. 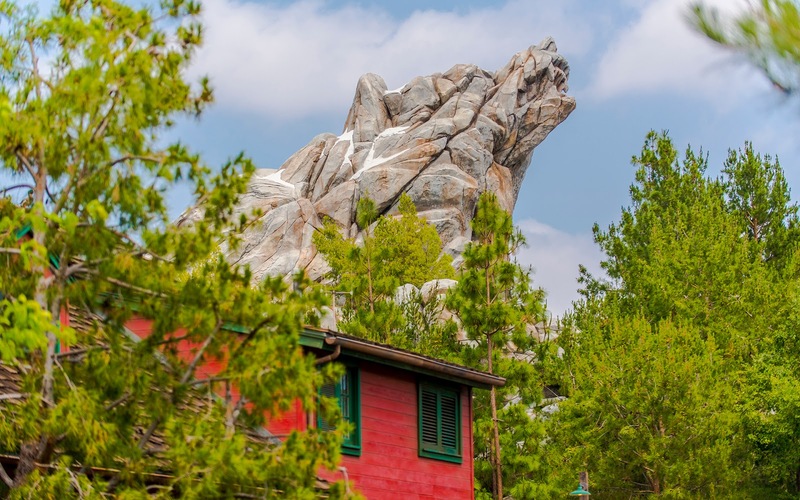 The iconic view of Grizzly Peak, from near the lift hill of Grizzly River Run. 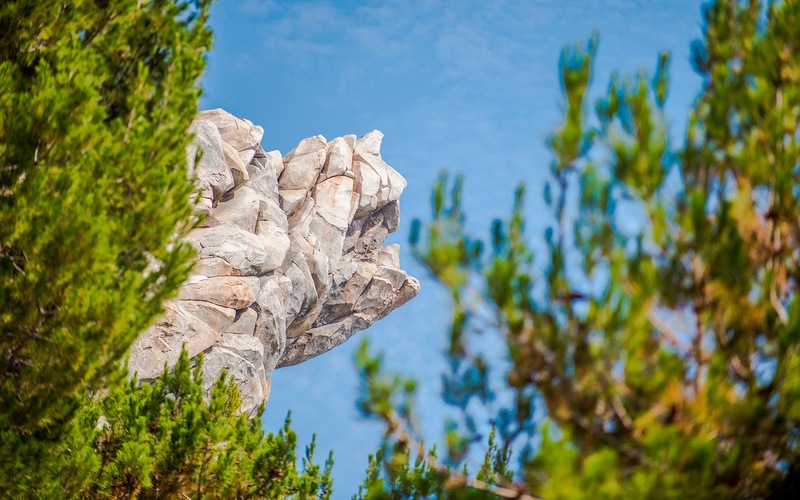 An angle from the waterfall path of Grizzly Peak, behind the Grizzly River Run loading area. Angled from the bridge entrance onto Paradise Pier, near Pacific Wharf.